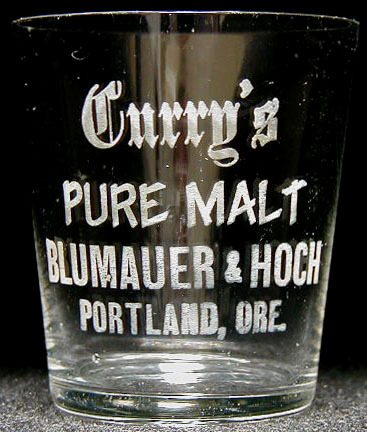 Inscription: Curry's (old English) / PURE MALT (ital.) / BLUMAUER & HOCH / PORTLAND, ORE. Condition: The label is a little discolored but strong. The rim has two or three tiny nicks and the wall of the glass has the usual fine handling marks, but great glass overall!